Warrnambool dairy farmer Peter Chow has trained his first winner at Flemington with Moor Wanted prevailing in a tight finish. In conjunction with running a dairy farm, Chow trains a team of eight horses, six of which are racing while also educating a couple of babies. “I milk cows and train horses on the side but in the last few years I’ve got a bit more serious,” Chow said. Ridden by Fred Kersley, Moor Wanted was backed from $16 to $11 before taking out Saturday’s Pin & Win Fundraiser Trophy with the trainer saying he was confident ahead of the gelding lining up. “He ran second to Bryan last prep and if Bryan was in this race I reckon he’d start favourite,” Chow said. “The 1200 metres didn’t worry us, just the straight track because in the early days he’d wander about, go in, go out, so you never know what you’re going to get. Being Warrnambool-based, Chow said he would consider setting Moor Wanted for the May carnival but noted it was difficult to turn out an in form galloper for a break. 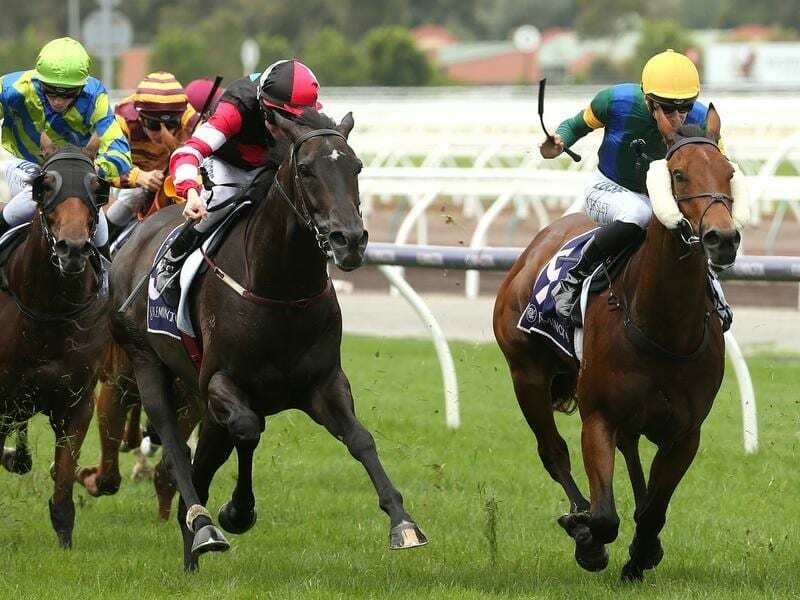 The victory was welcomed by Kersley who incurred a 14-meeting suspension at Moonee Valley on Friday night which commences after next Saturday’s Flemington meeting.